The Lord Of The Rings, Vertical Limit and The Last Samurai, starring Tom Cruise, have focussed international attention on the strength and sophistication of the New Zealand film industry and have amply demonstrated New Zealand's capabilities. New Zealand not only possesses the technical crew and equipment for this scale of production, but also the postproduction facilities to make New Zealand one of the most competitive and attractive locations for your next job. Diversity of very accessible locations. Experienced and deregulated work force. 10-hour normal working day (including 45mins for lunch). Reverse seasons to the Northern Hemisphere. Excellent equipment and facility houses. Professional actors of all ages and cultural backgrounds. New Zealand's competitive production costs make it an extremely attractive proposition for International television commercial productions. New Zealand's television and film industry is supported by a sophisticated banking structure and modern communications industry. On top of this, New Zealand's competitive foreign exchange rate gives foreign productions the opportunity to extend projects beyond budgets produced in their own countries. The variety of landscapes means New Zealand has been used as a location for anywhere from the North Pole to India, from South America to England and Scandinavia. We don't just shoot snowy peaks and barley fields, we have the locations and talent to cover most countries in the world. Within the two main islands of New Zealand there are an array of locations and environments equal to almost any part of the world. New Zealand's smallish size (an area only slightly larger than the U.K.) provides numerous locations and maximum filmmaking scope within a short distance, keeping transportation and travel time at a minimum. New Zealand is one of the user-friendliest places to shoot in the world. New Zealand's reputation for warmth and informal hospitality is well known, along with their independent, creative and innovative nature, quick to embrace new technologies and cultures. The crews have the typical New Zealand 'can do' attitude and will endeavour to satisfy your requirements and surpass your expectations. Crews are flexible, reliable, experienced and professional and appreciate the same from whom ever they are working for. New Zealand has quietly been building its film industry infrastructure for more than 20 years. It may be becoming more popular to shoot there but the production values remain high and the dollar remains low. The high percentage of repeat business is proof enough. New Zealand's talent base reflects the multi-cultural make up of the country. Agents can provide classically trained actors to back ground extras representing all types of ethnicity including Asian, Chinese, Japanese, Pacific Islands, South American, African and European. Whatever your casting needs you'll find it in the New Zealand melting pot. 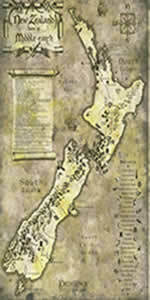 The buyout option is the traditional way contracts are negotiated in NZ. Talent are paid for a specific contract period. The contract starts from the first airdate of the TVC. Buyouts means the producer knows exactly the cost of the lead and featured talent before the shoot. There are no additional charges beyond the contract. Lead talent are NOT paid a daily rate in addition to their buy out fee. A 'standard performers contract' is the contract preferred by agents. It has been endorsed by all New Zealand talent agents and associated unions and is readily available from our office.